What Ms. Perry didn’t know is how her son’s shooting has changed the lives of so many, until just a few weeks ago. Tyrone Keys, founder of All Sports Community Services (ASCS) and former Super Bowl champion for the Chicago Bears, recently invited Ms. Perry to the ASCS Alumni Legacy Mentor Center at Blake High School. He wanted to share with her the legacy that Albert left and to show her son’s jersey hanging on the wall in honor of his life; and, to show her how much good can blossom from tragedy. Read more about the heartwarming 20-year story of forgiveness here. The news stories brought back memories from the community who remember the tragic shooting so well. And, it sparked an idea. The memory of her getting out of the limo at Mount Pleasant Church has sadly stuck with Keys for so many years. This year, he wanted to celebrate her on a very special Mother’s Day. 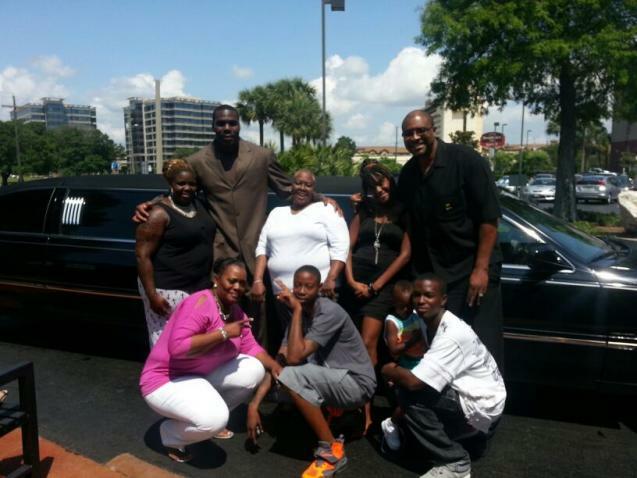 He combined forces with NFL football player Demar Dotson of the Tampa Bay Buccaneers, Eddie James Mitchell, Jr. of Executive Transportation and Lee Roy Selmon’s to give Ms. Perry the best Mother’s Day of her life. Ms. Perry, along with four grandchildren, one great-grandchild and a daughter-in-law, were picked up in a limo and taken to Mount Pleasant Church, where Albert had been baptized and laid to rest. This is the first time since Albert’s funeral the family had been back to the church and, coincidentally, it was the same minister who officiated both occasions. 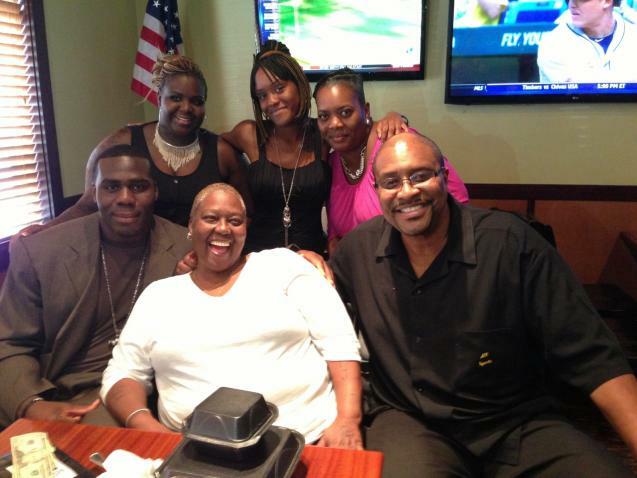 Following the service, the Perry family was taken to Lee Roy Selmon’s for a celebratory Mother’s Day dinner. In his lifetime, Lee Roy Selmon was always a big supporter of ASCS, so it was only fitting to treat the Perry’s to dinner there. Tampa Bay Buccaneer Demar Dotson is selfless in his generosity and always providing support for students and families of ASCS; he also joined in the celebration.